Supply Chain Management (SCM) has been widely researched in numerous application domains in manufacturing and service industries during the last decades. There are several attempts made by researchers and practitioners to appropriately define SCM and its applications. 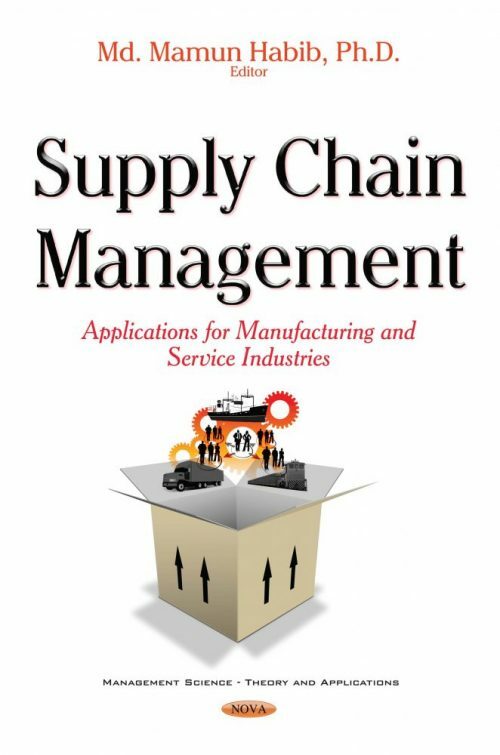 This book entitled Supply Chain Management: Applications for Manufacturing and Service Industry is comprised of twelve chapters. 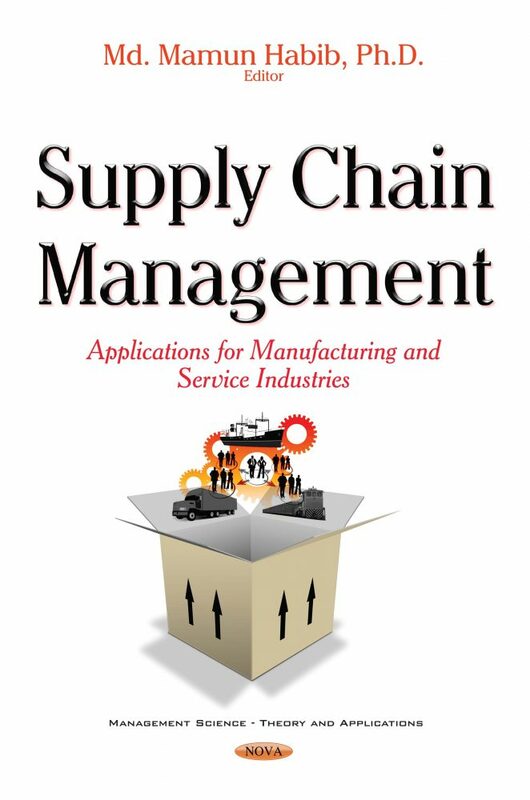 The introductory chapter, the first chapter of this book, addresses an empirical model entitled ITESCM (Integrated Tertiary Educational Supply Chain Management) for better Supply Chain Management in Universities, one of the service industries. This study encompasses education supply chain, research supply chain and educational management as major constituents of ITESCM. This empirical model evaluation by the actual implementation is suggested for prospective investors or current university administrators. Chapter Two presents a recent and exhaustive review on important integrated supply chain management problems and the current research on integration between different supply chain management functions. Chapter Three illustrates a comprehensive multi criteria decision making (MCDM) methodology for the selection of a third party logistics service provider. Chapter Four explains the capabilities of Google Spreadsheet as a tool, using its tool inventory distribution management, risk pooling and transshipment at retailer levels for integrated operation of the supply chain. Chapter Five describes the agent-based modelling approach to simulate the interaction and negotiation behavior of palm oil supply chain (POSC) actors, which attempt to obtain highest added-value, but must consider overall supply chain profitability and sustainability. Chapter Six intends to signify the performance measurement practices in the industries and also presents the need of supply chain performance measurement in textile industry with a case study. In Chapter Seven, a generic method has been developed in order to assist and assess complex supply chain network design and analysis considering different types of uncertainty factors. Chapter Eight proposes a mathematical model to determine the optimal location for a warehouse. Several factors like locations of distributors, nature of demand etc. have been considered to formulate the optimization model, which has been solved using differential evolution. Chapter Nine is a study of sport-related location and layout strategies as they related to the important questions that management needs to answer by focusing on location of a firm (i.e., intermediate variables/functions, superior firm performance). Chapter Ten illustrates the various approaches to implement the green principles by different researchers. The main objective of the green supply chain management (GSCM) approach is to eliminate/ minimize the impact of the GHG emissions into the environment throughout the supply chain process. Chapter Eleven focuses on increasing the supply chain value by looking into the color, image and typography of water product in influencing customers’ intention to purchase. Audience: Academicians, Practitioners, Ph.D. Scholars, Researchers those are involved in the field of Supply Chain Management. At academic institutions, Supply Chain Management (SCM) courses are available at the school of Industrial engineering, Dept. of Operations Management, Dept. of Operations Research. At industry level, supply chain managers, operations managers could use this book at their practical field.